Back in July, 2012, I was introduced to a young vocalist to schedule what was to be my first telephone interview. On August 22, 2012, I had the pleasure of engaging in a 90-minute conversation with this vocalist by the name of Jua Howard. We only recorded an hour of that conversation, and continued to have an intense offline discussion of music. 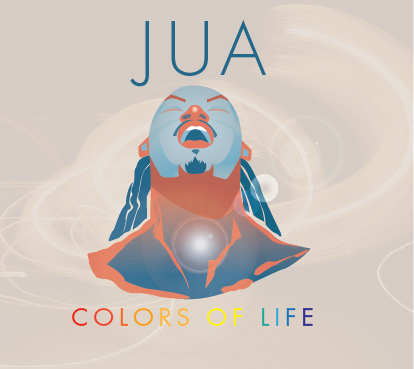 It was in that interview (click HERE for the interview) that I learned Jua was beginning to work on his sophomore release, Colors of Life. I was so excited for him, and I promised we would schedule a follow-up interview after the release. Colors of Life was released on June 24, 2014 and it delivers everything this music-lover looks for in good music. The opening notes of the first track, a wonderful cover of Sam Rivers’ tune “Beatrice,” are reminiscent of hearing the striking up of the band in anticipation of the musical ride that is to follow. Jua’s voice wraps around every note carefully, and it is evident that he embodies a combination of natural vocal talent, as well as vocal training. Abbey Lincoln’s “Bird Alone” places the listener into an intimate setting with Jua, much like the house concerts and smaller jazz venues he often frequents. Jua is backed by a stellar group of musicians, including keyboardist Onaje Allan Gumbs, who also produced Colors of Life. Saxophonist Roger Byam adds a special touch to Gumbs’ arrangement of “Old Devil Moon.” Jua’s vocals on the tune are as intoxicating as the lyrics suggest. “Time Past,” by Matt Clark and Jua Howard, shifts the CD from classic jazz tunes into a more contemporary sound. In a time when I feel many vocalists seem to rely on riffs, Jua sings without vocal gymnastics and thus achieves a much richer sound, moving through notes with fluidity. Please visit Jua’s website, www.juasmusic.com for his performance schedule. Listen to more music at sound cloud.com/juasmusic and watch his performance videos at www.youtube.com/Grammy08. I’m looking forward to hearing him perform live. Also look for a follow-up conversation with Jua, coming soon to Liner Notes Lounge. Colors of Life – nicely done! He is indeed easy on the ears and the eyes 🙂 LOL! Thank you so much Mr. Gumbs!